Filipino, Asian and home-made recipes at your fingertips. Kare Kare is one of the most popular Filipino dish. The main ingredient that is usually used in cooking Kare Kare is Ox Tail. But in this recipe, we will be using chicken as an alternative. 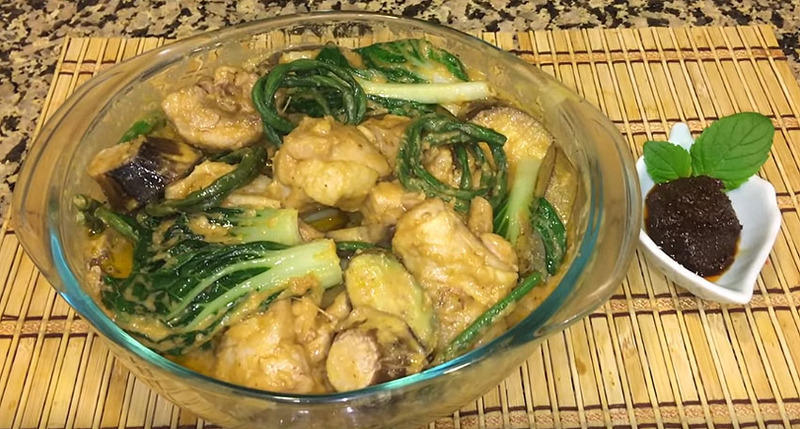 Kainang Pinoy serves you with a special Kare-Kare recipe with a twist. Instead of using Ox Tail, we used Chicken meat. Watch the video below for the full procedure on how to cook a delicious and flavorful chicken kare kare. I really appreciate your comments. Can't wait to read them! It took me years before I learned cooking paksiw na isda. Although a simple fish dish, I had so little experience in cooking fish. Subscribe Via Email For FREE Recipe Updates!